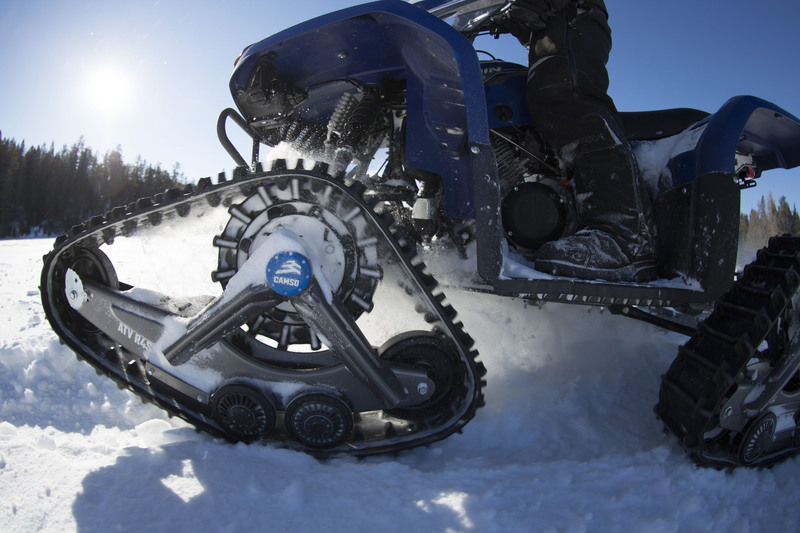 Magog, QC, July 11, 2017 – Converting a small engine all-terrain vehicle from tires to tracks just got easier and more affordable thanks to Camso’s new ATV R4S track system. Camso has set out to put that myth to rest by bringing to market an affordable track system for a wide variety of ATVs 500cc or less. 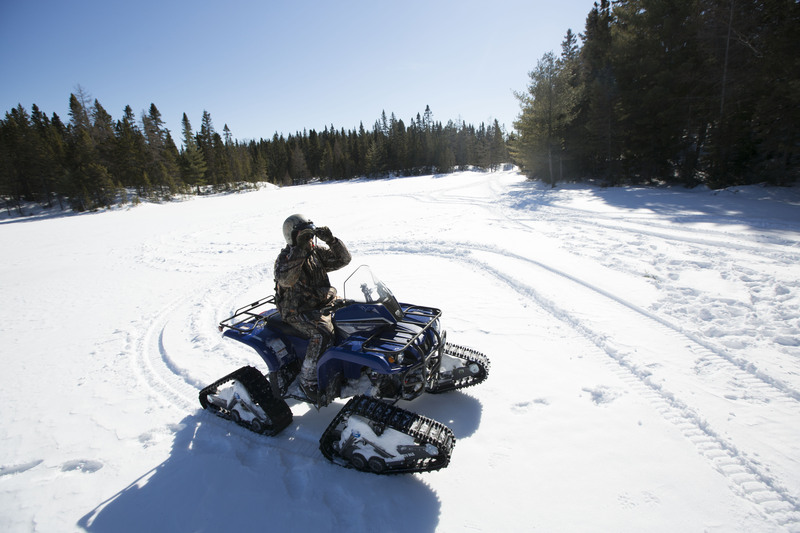 With the ATV R4S (recreational 4-season), tracks have never been so accessible. What the ATV R4S has is plenty of performance and features especially designed for small cc ATVs. Its 8-inch (20 centimetres) width reduces ground pressure and provides comparable flotation and traction to wider track systems designed for larger cc vehicles. 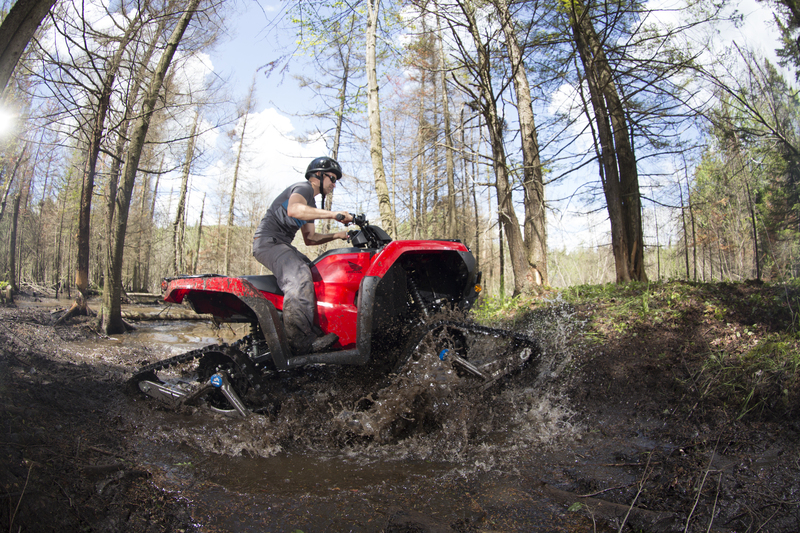 Sprockets are adapted to prevent clutch and engine overload, and the optimized geometry of the ATV 4RS ensures optimal performance and handling. 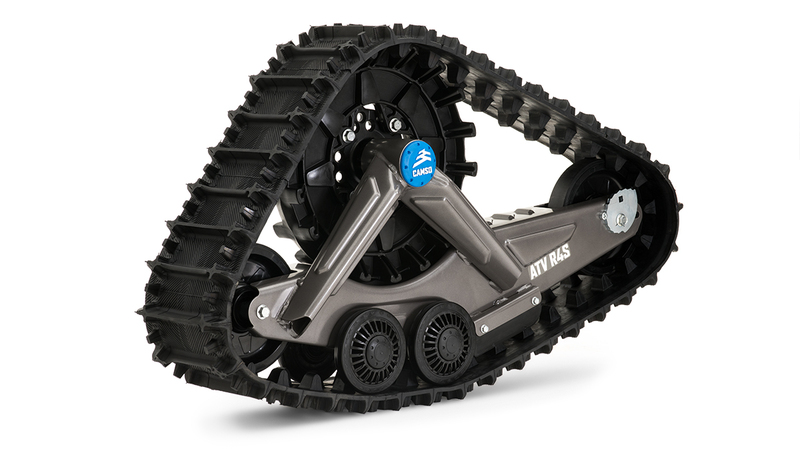 “The ATV R4S is the perfect track system to take your ATV further than ever before, for less. It makes all-season off-road mobility accessible for more riders,” said Dashnaw. Camso, the Road Free company, is a world leader in the design, manufacturing, and distribution of off-road tires, wheels, rubber tracks and undercarriage systems to serve the material handling, construction, agricultural and powersports industries. It employs more than 7,500 dedicated employees who place 100% of their effort on 11% of the global tire and track market: the off-the-road market. It operates advanced R&D centres and manufacturing plants in North and South America, Europe and Asia. Camso is a supplier to leading original equipment manufacturers (OEM) and distributes its products in the replacement market through its global distribution network.